Tommy, as most in the industry fondly yet respectfully know him is the CEO of Ren-Form, and has a variety of hobbies and adrenaline activities that he like to partake in, however these skills and talents are nothing compared to his skills in the business arena. He began working for Ren-Form in production, where he continued to work his way up in the management structure. The then owner of Ren-Form afforded him the opportunity to show his true potential and become the businessman and entrepreneur he was meant to be. Tommy became partner and then took the bold step to acquire Ren-Form as a whole in 1989. A true crisis and change management expert within the business, finance, and the ability to, innovate, map, and actualize equitable and innovative solutions, that generate immense wealth across the Ren-Form operations. A persuasive coach and industry leader, deftly influencing and negotiating at the highest levels, extracting maximum value from project teams and his management teams, and building cross-organizational cohesion through positive directional leadership. Ethical advisor with unwavering integrity. That is our formidable leader and CEO Tommy du Sart. Eric or Pops as most of the customers and suppliers know him is responsible for directing and coordinating purchasing and related functions and serves as a Director in Ren-Form cc operations unit. Eric has a substantial knowledge of the organization, its mission and its relationship with clients and suppliers. He has a in-depth knowledge of purchasing theories, best practices, emerging trends, methodologies and their applications and how this fits into the purchasing function. Over the years Eric has establish and administered stringent policies and procedures and supervised and direct the work of Ren-Form staff accordingly. Adding to this he implemented all purchasing policies, internal operating policies, procedures and guidelines, administration of the procurement program in compliance with applicable auditory procedure and regulations. He established and developed difficult and/or complex procurement contracts, which involved warehousing, receiving, surplus functions, and other raw material functions. A true asset to Ren-Form and its operational function. Damien du Sart is part of the Ren-Form family institution, and has assimilated his passion for print and the Ren-Form business from his father Tommy du Sart. Commencing his career at Ren-Form as a Continuous Planner in 2001, he worked his way up the ranks, and solidified his role in the Management Team. Damien has proven to be a true Leader with unaffected passion, drive and ambition. Possessing excellent management skills Damien is able to direct, manage and supervise all planning, production and scheduling activities. Well adverse to spot issues and opportunities before others, and he has extensive knowledge of key issues like stock management, cost control and effective labor scheduling. Most recently Damien was promoted to General Manager of Ren-Form and his responsibilities changed overnight to that of Key Decision Maker. Backed by years of experience, guidance from Management, leadership and molding from our CEO, we are confident that Damien will lead Ren-Form into the next generation of print. Damien holds various qualifications among Pg. Cert. Business Project Management, Pg. Cert. Management Development, Supervisory and Management Principles, Pg. Dip. Project Management. He is currently studying towards his Management Advanced Program qualification. Albe Naude has been involved with Ren-Form since 2009 as a Consultant and assumed his role as COO of Ren-Form in August 2010. Serving as CEO in the weight measurement and sales industry from 2000 to 2009, Albe came to the decision to transforming his career path and turned his attention to print which proved to be the start of many sleepless nights and substantiated to be the challenge he was hoping for. Pioneering Turnaround Executive optimizing holistic, integrated change across all areas of operations Albe had his work cut out for him. In the past and present, Albe led teams to deliver phenomenal profits, sustainable business growth, and being the change agent for rapid launch of industry-leading new products, services and sales. Albe proved to be a fearless change agent fuel-injected with enthusiasm, envisioning and executing game-changing turnarounds FAST, get returns NOW and bullet-proof companies against the economic tsunami forces driving today's highly volatile local and global markets. It was Albe's responsibility to bring about change in Ren-Form, ensuring a healthy, ignition of strong leadership across all levels and enable good and knowledgeable people to have a secure future. Jean Pierre or JP as all know him as the Sales Director for Ren-Form cc. He manages and is directly responsible for the daily operations of sales both locally and globally. Solving everyday problems, quickly and effectively and finding new and innovative ways to make the company more sales and solutions orientates, thus ensuring a good coordination between all Ren-Form operational and sales services. JP's role as Sales Director ensures the implementation and monitoring of continuous improvement programs/processes. In addition JP manages a network of independent sale agents across Africa and MEA. Despite his busy schedule he also severs as Vice Chairman on the Central Camber Board of the Printing Federation of South Africa. JP matriculated in 1981 and later graduated with a Higher National Diploma in Electrical Engineering in 1986. JP has a strong background in Contract Management and Project Management and has proven to successfully manage multi million rand projects with ease and flair. Erika has been fortunate to have had the opportunity to develop a well-rounded skill set that includes digital strategy, branding/awareness, performance marketing, search engine marketing (SEM), search engine optimization (SEO), CRM, copy writing audience research and analysis, web analytics, media buying and planning, social marketing, and mobile marketing (SMS, Email, Web apps). While her primary focus is in digital marketing, her skill set is balanced out by successful work experience in cross media marketing, magazines, direct mail, creative design, audience research, and software development. Starting her print and publishing career in 1994 Erika, was soon seconded to work at Xerox as their Production Digital Specialist before moving to Dubai in 2004 where she started a Relocations Business. Later selling her share in the business she started working for the UK Retailer, Costa Coffee Middle East as the Business Support Manager. Returning to SA, Erika worked as a Sales and Digital Marketing Manager before being headhunted to fulfill her current role at Ren-Form as Digital Marketing and Solutions Manager. Erika holds a Pg Dip in Digital Marketing, Pg Dip Certified Qualification in Sales and Marketing Management and a Certificate in Advanced Management Practices. 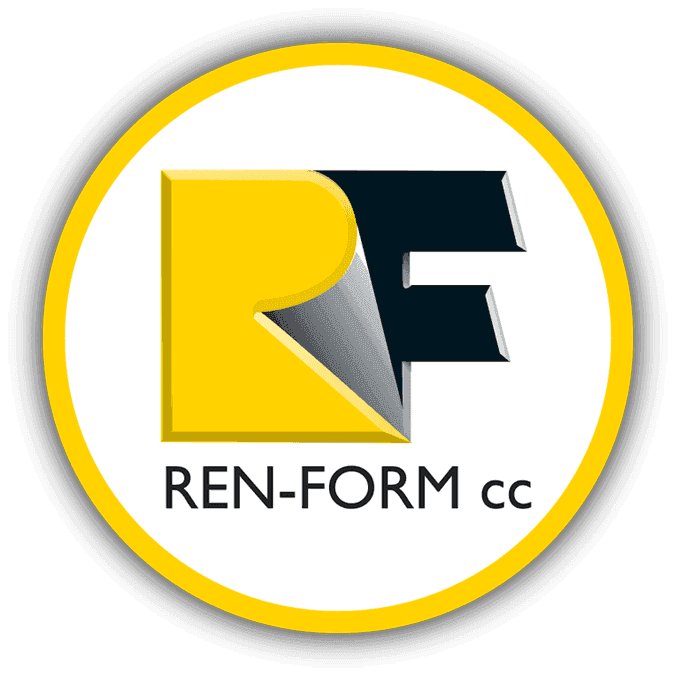 If you had told Ryan in 2010 commencing his career with Ren-Form, that he would be Sales Manager of Ren-Form Sales in 2017, he would have probably grinned, deliberated and said… bet your life on it. Ryans experience in print production, job planning and daily sales operations was gained by working his way up the ranks from sales support, estimator, production planner to the accomplished and respected manager he is today. His focus and personality being one of his greatest assets in achieving goals with un-relentless focus on getting teams and people to perform at their best and a continuous drive to advance business processes. and this passionate golfer and footballer has plenty of that. His hands-on problem-solving ability coupled with his appetite for new challenges, affirms why Ryan is the firm favorite amongst our customers when dealing with Ren-Form. His formal experience include a National Diploma in Print Management, Diploma in Business Management and a Printing and Packaging Management Diploma gained through the Printing Federation of South Africa through CPUT. Olga joined the REN-FORM team in early 2013 as HR & Training & Development Business Partner with her primary focus on all aspects of the HR |IR|T&D function, strategic and relational change management, which includes a well balanced work experience skill set that she brings to the table. Most recently she launched an Apprentice Program within the company which includes a 9 week Departmental Familiarization Program fondly branded as "#THEAPPRENTICE 2015." REN-FORM in keeping the FP&M SETA and Printing SA's strategic plans for the future will implement the program year on year as one of the HR Development Strategies within the Company. Olga has been fortunate to study and develop her career over a 15 year period within her related field at institutions such as UNISA, CTU and various other training and development providers. She is passionate about seeing people reach their full potential and as such has adopted the personal standard of "life-long learning". Her mantra for 2015 is driven by a Jim Collins' quote which rests on the premise that "GOOD is the enemy of GREAT!". Victoria may be our youngest Management Team member, starting her career at Ren-Form in 2004 at the youthful age of 19. Whilst adopting a strategic mind-set when pricing for her customers, Victoria proved that she was not going to sit back and wait for opportunity to come knocking. Always going over and above duty, ensuring Ren-Form customers get the best quality at the right price in the shortest most economical production time. Victoria quickly became a sure contender to take over the role of Chief Estimator in 2013. Not only is this a first for Ren-Form, but also the fact that Victoria is a woman, thus affirming this role from other contenders, was a resounding accolade for Victoria. Substantiating hard work pays off and is why she is the primary point of contact, for any Continuous print requirements for the past 10 years at Ren-Form. Having completed Estimating Courses, Sales Strategy and Business Management in the industry in 2014, securing the highest marks for the class, validates management's decision in making her our Chief Estimator at Ren-Form cc. The staff is professional, eager to help and knowledgeable, I felt a sense of belonging there a moment I went in, one sure thing, staff knows what it takes to run a successful company..